I'm obsessed with the salad at the neighborhood spot down the street, Crosby's Kitchen. It's a good local joint, but I lack the pricey stroller to really fit in there. Too bad the tiny dog isn't allowed inside, he would gladly ride in a Baby Bjorn if I let him. I promise that will not happen, I do have a bit of self respect. I recreated this salad for our family Christmas dinner. 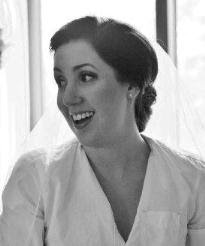 It was the perfect combination of fancy to impress guests and easy to keep me sane. I had a wicked craving for it the other day and wanted to share with you lovely folks. Peppery arugula is paired with earthy brussel sprouts, nutty Manchego and candy-sweet dried blueberries, all brought together with a delicate lemon vinaigrette. Raw shaved brussel sprouts have a fantastic crunch. My local Trader Joe's actually carries pre-shaved brussel sprouts, but you could quickly shave your own using the slicing blade on a food processor. The sweetness of the blueberries of is perfectly offset with the bitter lemon and hot mustard in the vinaigrette. 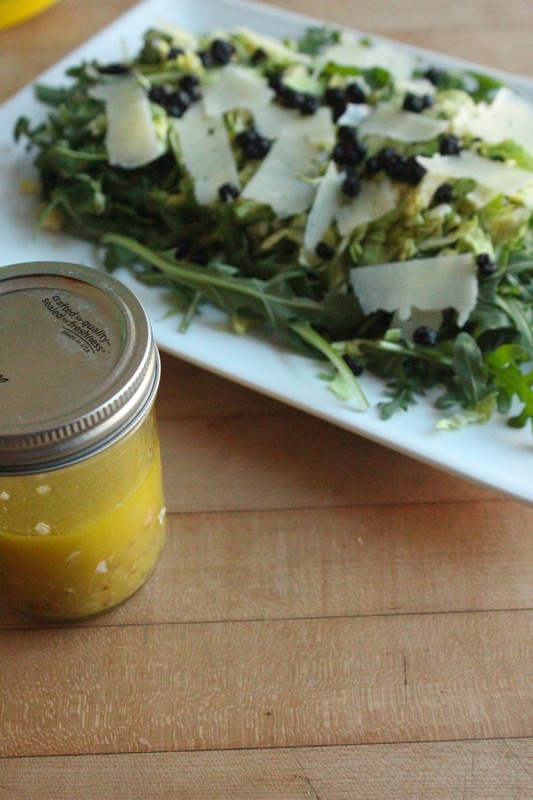 The mustard also helps to emulsify the dressing, so the lemon juice and oil won't separate. Isn't that fancy? Start by shaving brussel sprouts in a food processor, using the slicer attachment. 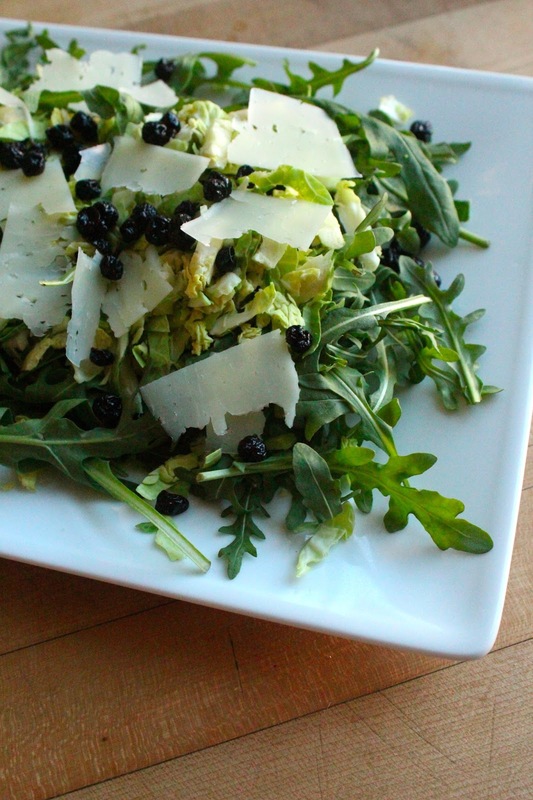 Combine arugula, shaved brussel sprouts and dried blueberries. Using a vegetable peeler, shave cheese over top. 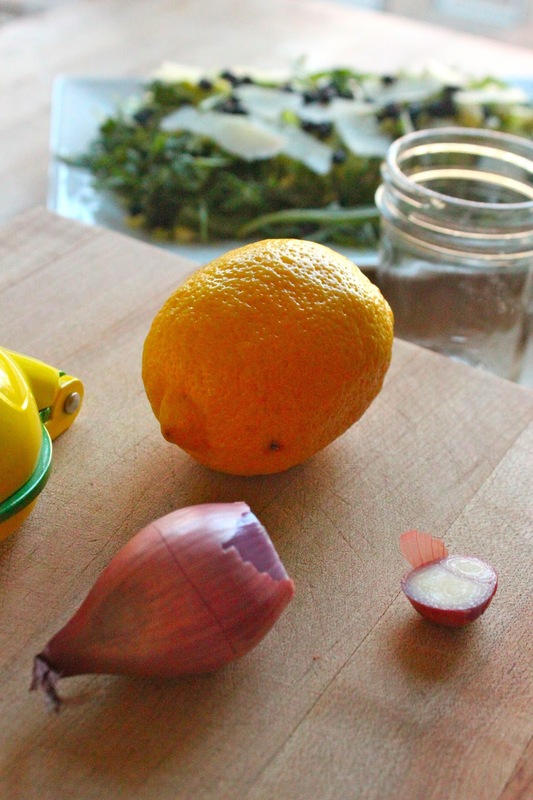 In a mason jar, combine olive oil, lemon juice, shallot, mustard, S&P. Tightly screw the lid shut and shake. Toss with salad and serve immediately.